Despite several recall announcements for users of the Note 7 device to return it for other Samsung devices with no battery explosion records. some users have been slow to give up their devices and Samsung has decided to shut them down remotely. Samsung has announced that, beginning Dec. 19, it will remotely update all Galaxy Note 7 devices in the U.S. so they can no longer be charged or work with cellular networks which otherwise could be referred to as effectively bricking them. This plan was made known in a recent announcement on its website. 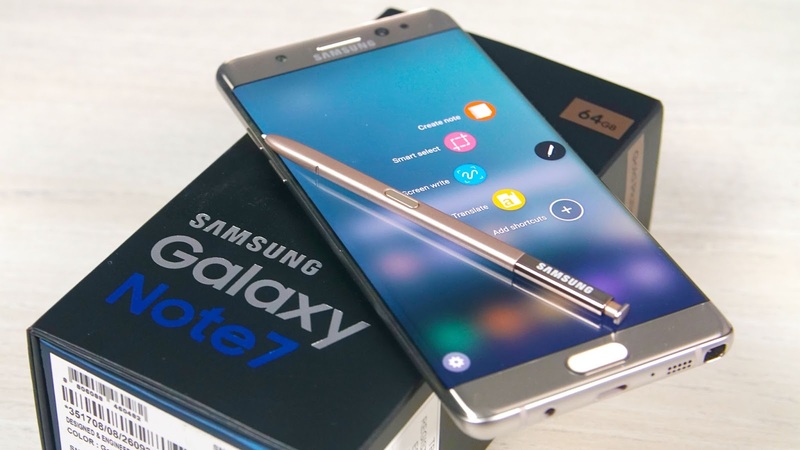 "Together with our carrier partners, we will be notifying consumers through multiple touchpoints to encourage any remaining Galaxy Note7 owners to participate in the program and to take advantage of the financial incentives available," the statement read. The news was preceded by reports, including one on TheVerge, describing the plans. At least one Note 7 owner on US Cellular received an alert from the provider that warned them of an impending system shutdown: "As of December 15th, Samsung will modify the software to prevent the Galaxy Note 7 from charging. The phone will no longer work." The BBC reports that Note 7s in the UK will have their charging capacity capped at 30 percent on Dec. 15, after a similar move setting the threshold to 60 percent in September resulted in the return of all but 10 percent of the devices in Europe. Samsung Canada politely announced its plans to halt service for the remaining Note7 devices in the Canadian market as well. By Dec. 15, active Note 7s will be hit by "functional limitations," disabling from all networks. In a very Canadian move, the devices will still be sent daily push notifications reminding their owners to return their exploding phones, please. By the end of the year, most of the Note 7s left in the Western hemisphere will be rendered completely useless. If you're one of those sticking through till the end, it's time to give up.